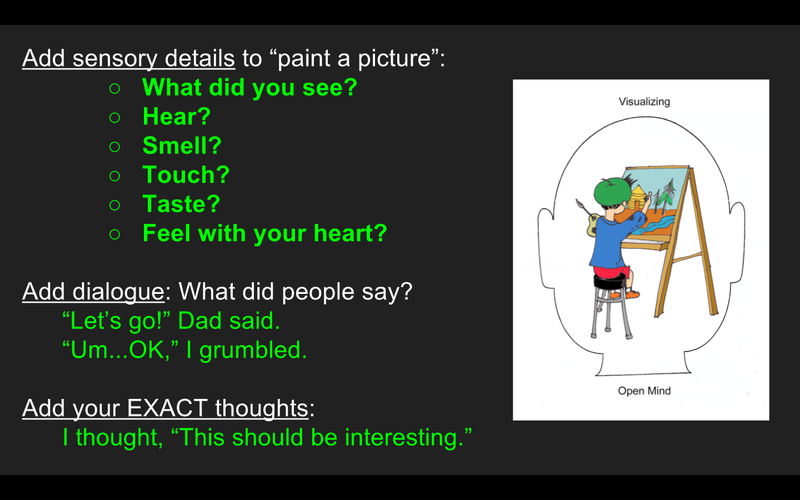 Goal: Revise the memory you wrote Monday in order to include sensory details (sight, sound, smell, touch, taste), dialogue, and exact thoughts. Click HERE to open this week’s assignments. Record the changes in your agenda. Please use Drive to access your assignments. 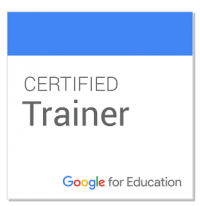 TURN IN to Google Classroom. Absent Monday or Tuesday? Find We Are All Storytellers in Google Classroom. Complete Exercise 1. Forgot Your iPad? Date the entry in your R/W Notebook and write everything we do in the notebook. Otherwise you earn 0 points! Back to School Night Tomorrow: Give your schedule to your parents. Open We Are All Storytellers in Google Drive. Revise what you wrote on Monday. Help your reader visualize what happened. Make Sure your Doc is inside your English folder so Ms. McMillan can see your progress. OPTIONAL: Paste your revised writing from Storytellers L. 1 Ex. 2 (Part C) for Weekly Pages 3. Copy (Command C) the revised memory from Part C (see above). Open your English Journal (Google Drive). 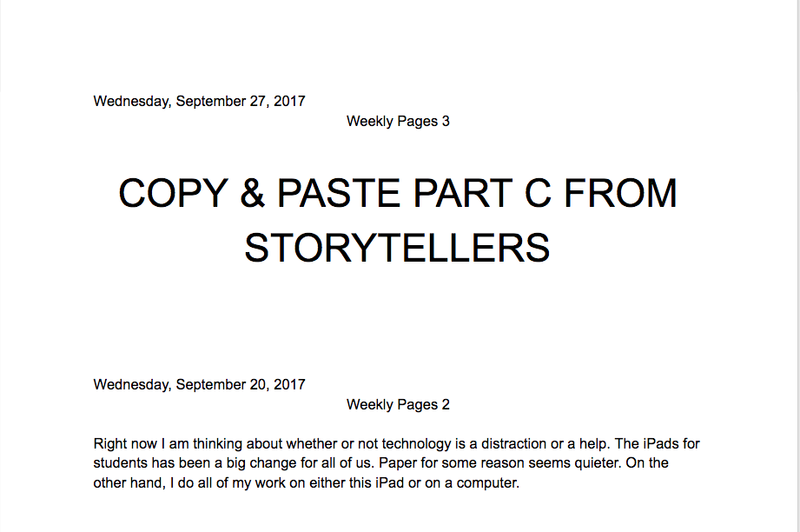 On Top: Type the date (align left) and the title “Weekly Pages 3” (align center). Paste (Command V) your memory (align left). 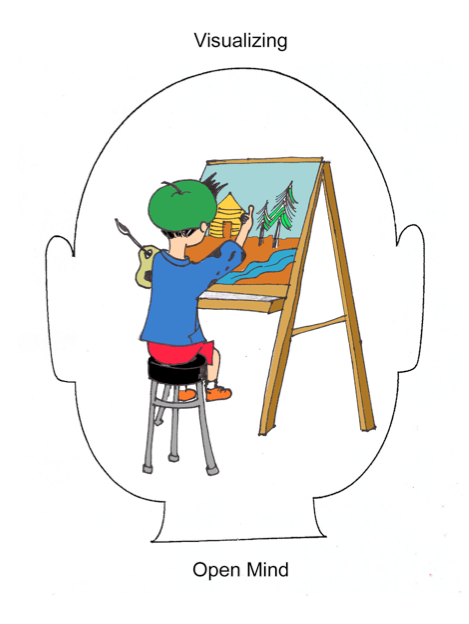 This entry was posted in All Blog Posts, Unit 1 and tagged narrative, revision, sensory details, storytellers, visualizing, We Are All Storytellers. Bookmark the permalink.